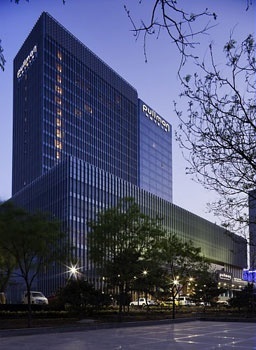 The Wanda Realm Beijing (Beijing Wanda Jiahua Jiudian) is located in Wanda Plaza, a business and shopping center in Beijing's Shijingshan neighborhood, within easy reach of Metro Line 1. There are three restaurants and a bar serving tasty refreshments and fine meals. Guests will find Chinese, Western and Japanese cuisines on the menu. Guests looking for a refresher have an indoor swimming pool and aquatic spa at their disposal, and can also make full use of the fitness facilities.